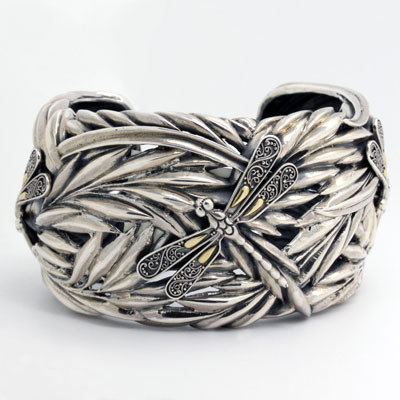 Dragonfly Ring In Sterling And Yellow Gold - R6198 at Reliable Gold in Rhode Island Reliable Gold Ltd. 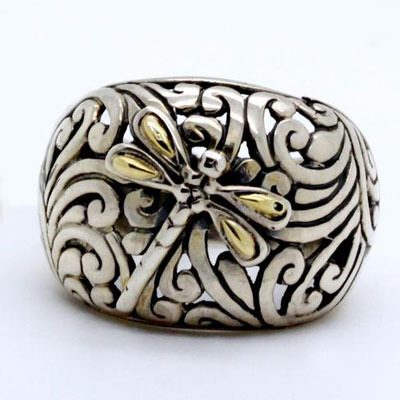 Substantial and lovely slightly openwork sterling silver ring adorned with a dragonfly with 18K yellow gold wings. 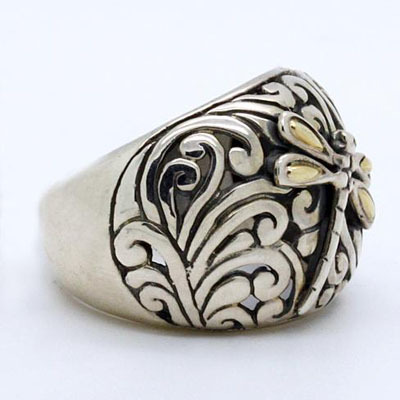 Size 6, but sizeable, and 9.1 grams.